Veteran church planters talk about starting a new church from scratch in an article from Outreach Magazine. Planting a church requires significant personal risks. What were some of your initial struggles and fears? 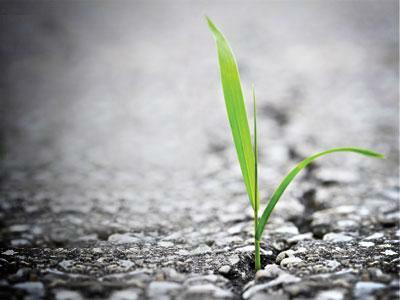 Bob Roberts: In terms of difficulty, I think church planting—on a scale of one to 10—is a 10. It’s a difficult thing to do in and of itself, but you’re not just planting a church. Most guys who do it are young, so you’re doing life, too—learning how to be a husband, how to be a dad, how to grow your church, how to be a person. For the first time, you’re really out there. John Burke: I thought I knew what it took to start a church, but actually it was 10 times harder. We had no money. No team. No core. We had nothing. How in the world is this going to come together? That was a big fear. Efrem Smith: In the beginning, I was serving as an associate pastor at a historic, established church. Early on, I had all these fears: How are you going to start a church from scratch? What if people don’t come? What if it fails? What if it doesn’t grow? What if people don’t feel compelled to the vision? How am I going to support my family? I was fortunate to have some pastors and denominational leaders pray with me through it, coach and mentor me. I feel like you should not plant a church without a team that’s mentoring and coaching you. If you were mentored through the church-planting process, how did that impact you and your ministry? Would you recommend church planters find mentors? ← What’s the Latest in Online Worship?